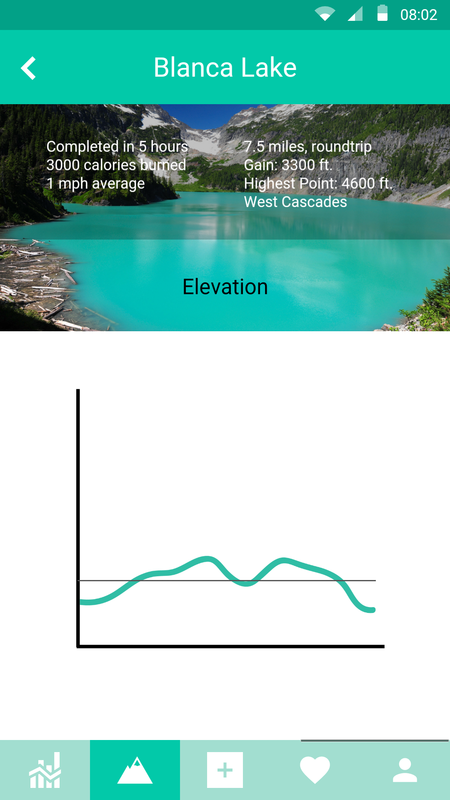 The idea of this application comes from my first assignment for this class, a mobile and watch companion application for hikers, which you can read more about here. For my final project, I worked with one other classmate to iterate on this concept. 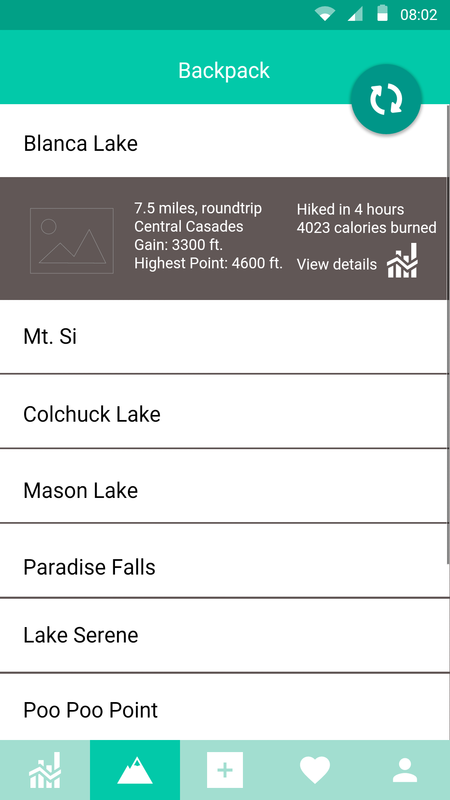 The phone application is a hikers workout companion. It will allow them to view their workout statistics in real time on their watch, and then view more detailed graphs on their phones later. 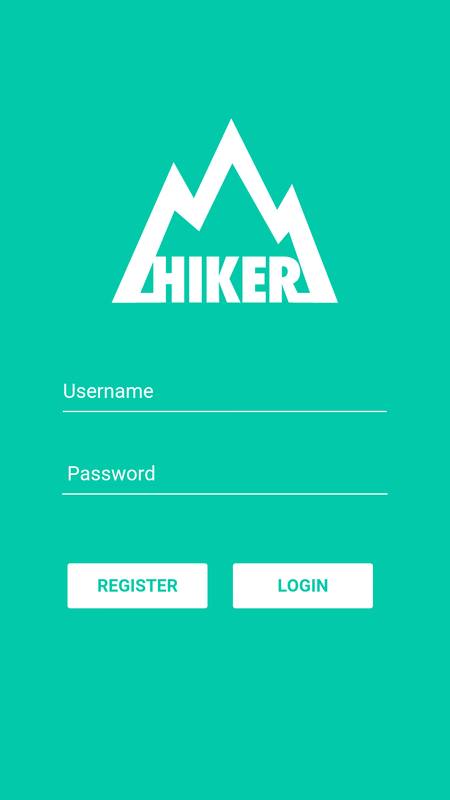 We wanted to create our prototype because we feel like this app would be very useful for hikers. 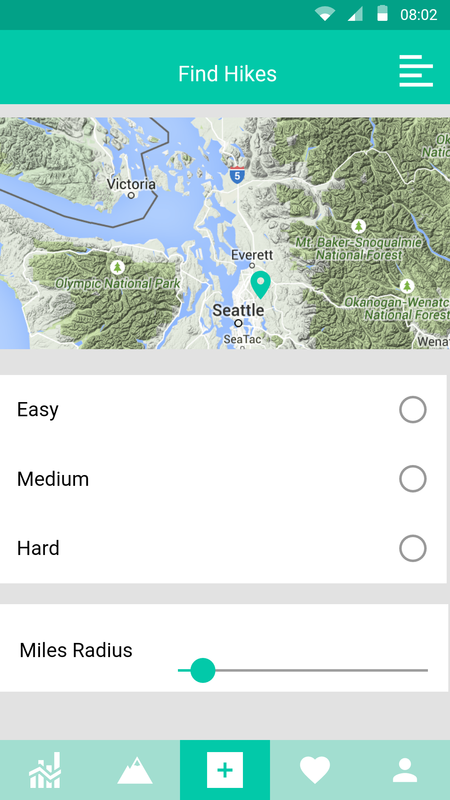 We wanted to see if the idea was feasible and usable, and if people would want to use this app. By iterating on my paper prototype and making an interactive prototype, we were able to have something to show to users and recieve more detailed feedback. 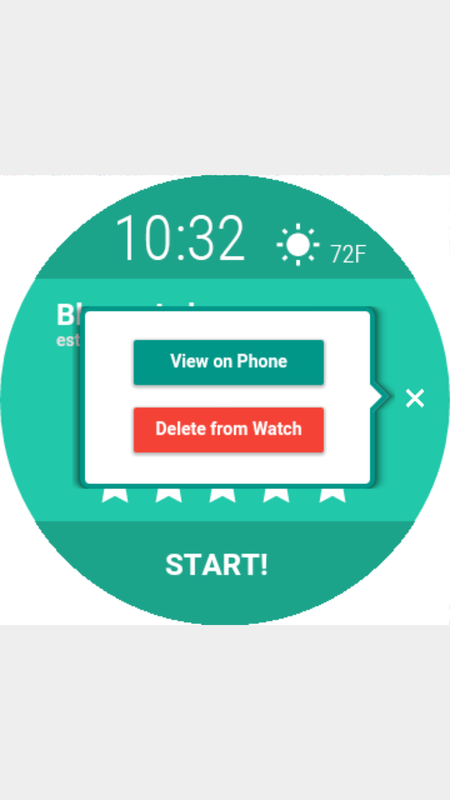 For our final project my team created an interactive prototype for the phone app and the watch app on proto.io. Then, we created a concept video to showcase the app’s features which is shown above. In the hiker’s profile page, they can enter in their height and weight, which the application will use to calculate their BMI. This information will be used in displaying the graphs on the analysis page. 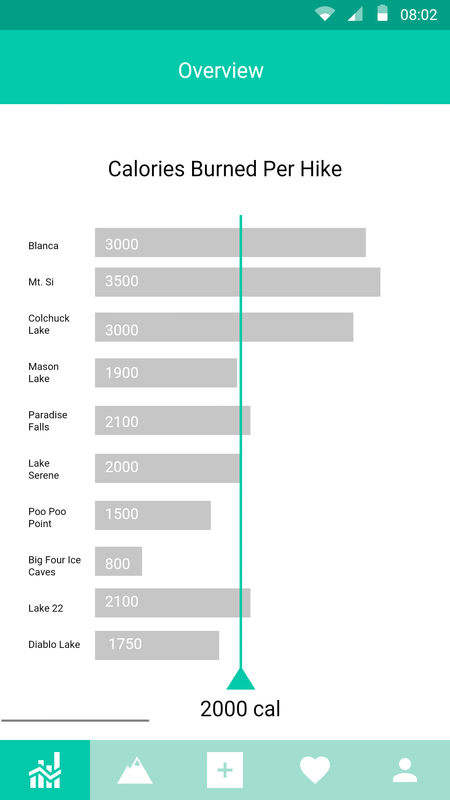 This is the overview/landing page, which gives the hiker and overview of their calories burned, duration, and average speed for each of the hikes that they have already been on. Hikers can find new hikes to go on. The hike information will be pulled from the Washington Trials Association. They can search by most popular, recommended, difficulty, attraction, and by miles radius. Once hikers find a hike they like, they can add it to their “backpack.” Then, they can sync the information to their watch. After this, they will no longer require wifi since the information will be stored onto their watches. Now, it only requires GPS. 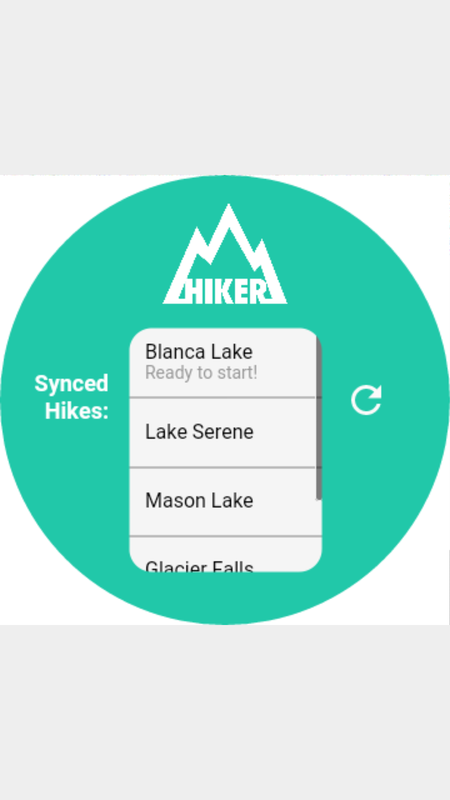 On the Watch App Sync page, hikers can select which watch to connect to and customize their connection settings. Switching over to the watch, the hikes in the hiker’s backpack will sync over to their watch. Once the hiker chooses the hike they are about to go on, an overview of the hike is displayed. This includes the length, elevation gain, and the general location of the hike. They can view it on their phone, or delete it from their watch. 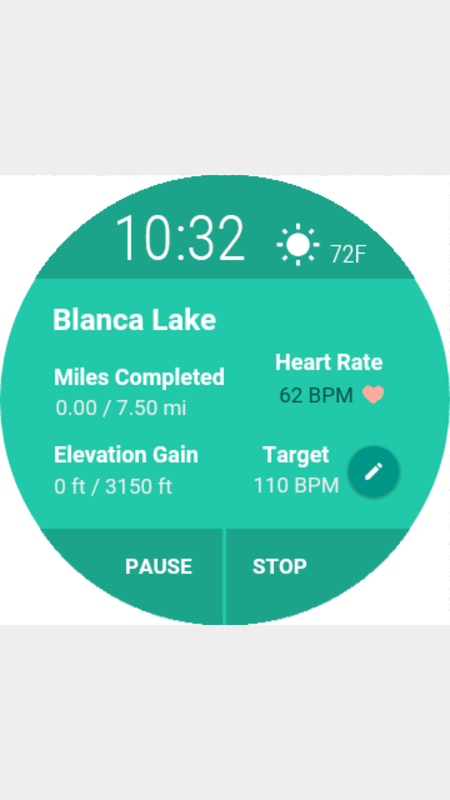 Once the hiker presses start, the sensors on the watch will start analyzing the hiker’s bodily data. 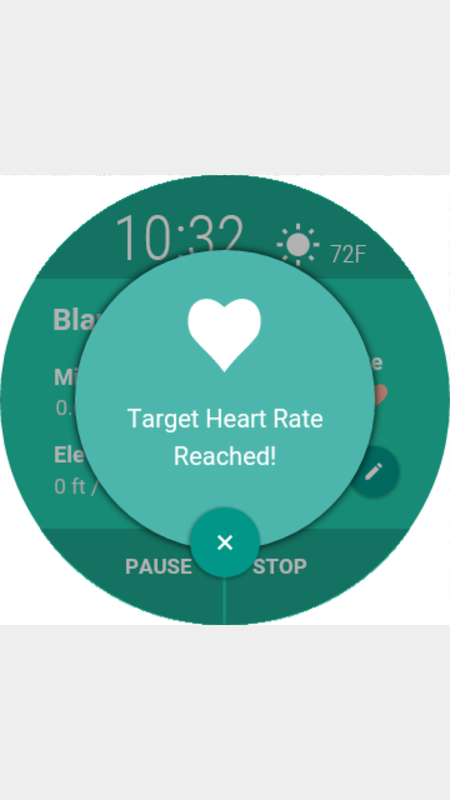 The hiker’s heart rate will be monitored, and a notification will pop up when their target heart rate is reached. 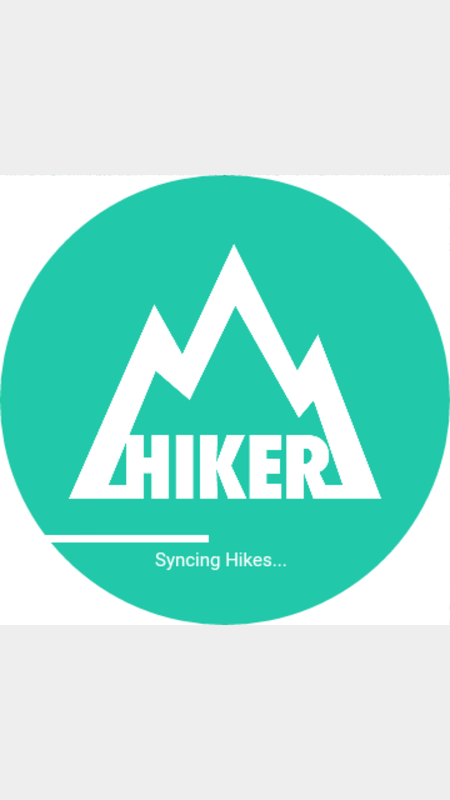 The duration and length of the hiker’s progress will also be tracked in real time. When the hiker reaches a fork in the path, the watch will give information about the differences between the two paths. 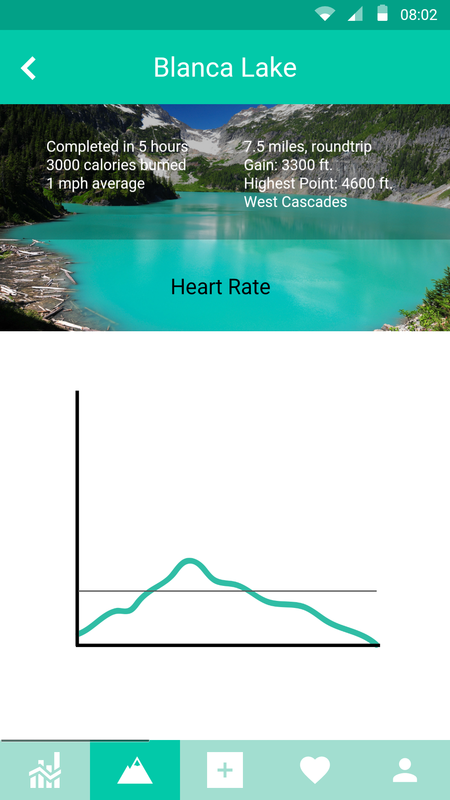 Also, by monitoring respiration rate the app will notifiy the hiker when it is a good time to drink water. 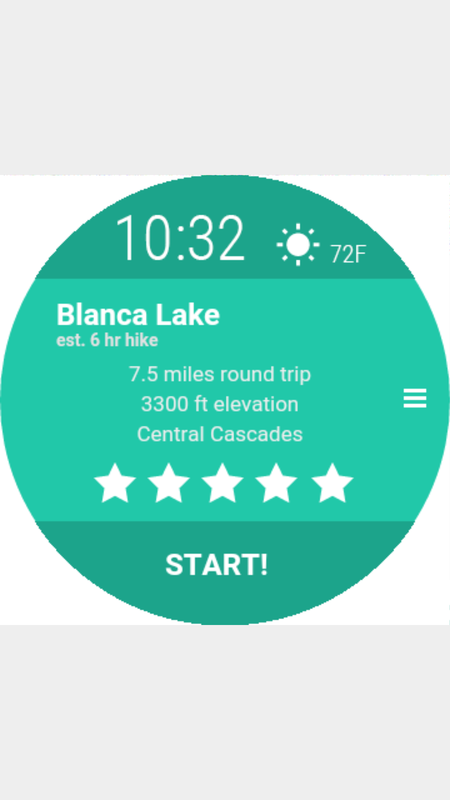 When the hiker has reached their destination a notification will appear, letting them know the overview of their hike. 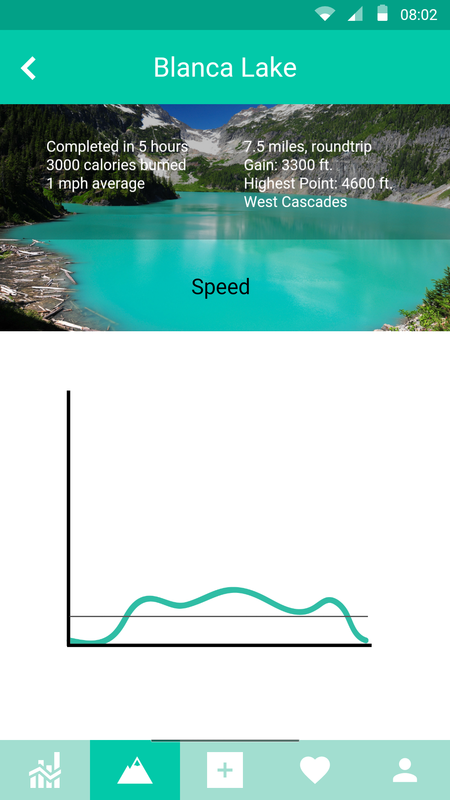 Once the hiker recieves wifi signal, theyhikers can view their hike statistics on their phones in more detail. There will be a graph showing the heart rate, elevation, and speed over time. Also, there will be information about total calories burned. After showing our project during open house, we found out that a lot of people were enthusiastic about this idea. This satisfied our goal of seeing the value of my initial idea and paper prototype. However, we will need to do actual user testing to get more in-depth feedback and revise our prototype accordingly. For further improvement, we would do research on what personal data fitness tracking apps that are out there display. 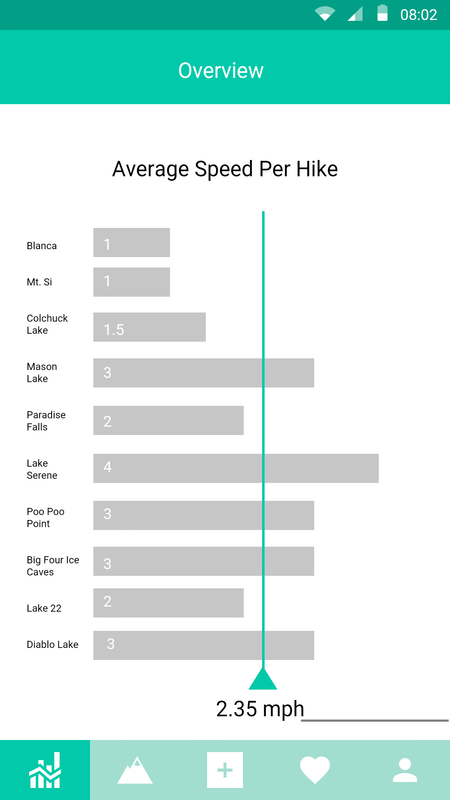 We would also do user research to see what information hikers are most interested in viewing results for. With this, we will be able to create actual data visualizations to put on the phone interface. 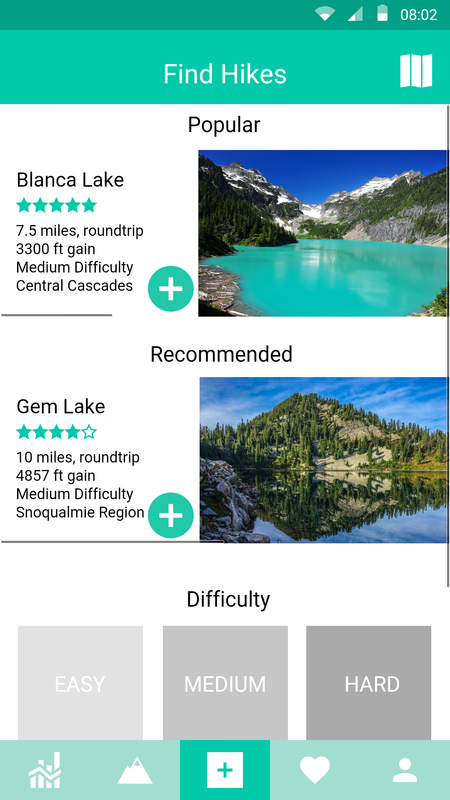 We would also interview hikers about what they look for when searching for a new hike. This will impact the filters we have on our “add a hike” page. One thing we learned from showing our application to people at the open house is that people that hike look to see if the hike is a loop or not. This would be one thing we would add to our app. We would also make the prototypes have more interactivity – making all of the buttons work and all the interactions more smooth. When people played with our app, they tried to click a lot of buttons that were not clickable. After making these improvements, we would do user testing with a formal task list and set of questions to gather more valuable feedback to improve our application.